Preserving our freedoms and protecting and securing our homeland. 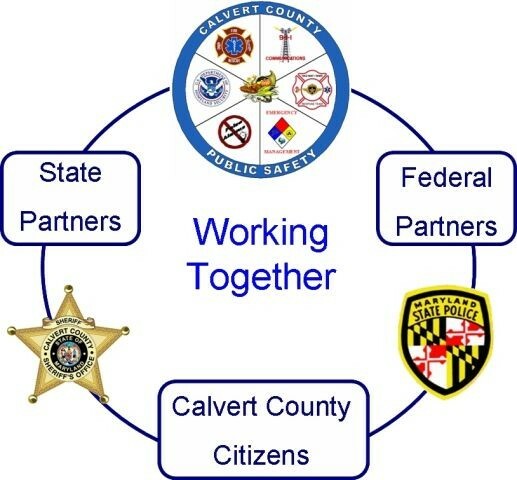 To work in a unified effort to secure Calvert County. This exceedingly complex mission requires a focused effort from our entire society if we are to be successful. This unified effort will prevent and deter terrorist attacks and allow us to protect against and respond to threats and hazards to our county. Our strategic goals closely resemble those of our federal and state partners, as we all work toward one common goal. Identify and understand threats, assess vulnerabilities, determine potential impacts, and disseminate timely information to our homeland security partners and our citizens. Detect, deter, and mitigate threats to our homeland. Safeguard our people and their freedoms, critical infrastructure, property, and the economy of our county from acts of terrorism, natural disasters, or other emergencies. United we will manage and coordinate a response to any acts of terrorism, natural disasters, or other emergencies. Work with federal and state partners, and private sector efforts to restore services and rebuild communities after acts of terrorism, natural disasters, or other emergencies. Value our most important resource, our citizens. Create a culture that promotes a common identity, innovation, mutual respect, accountability, and teamwork to achieve efficiencies, effectiveness, and operational synergies.